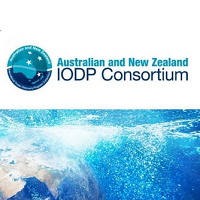 As part of the worldwide effort to develop the next decadal plan for scientific ocean drilling, the ANZIC Ocean Planet Workshop will bring together Australian and New Zealand experts in marine geoscience and geomicrobiology relevant to drilling who wish to help formulate a new 2024-2034 science plan for ANZIC and international partners. Participants will deliberate new research frontiers, gaps in the current IODP Science Plan (https://www.iodp.org/about-iodp/iodp-science-plan-2013-2023), and improved engineering, technological, drilling, logging, and observing capabilities. The workshop report will form the basis of Australia’s and New Zealand’s input into the next global decadal plan. Note: ANZIC will provide some travel support to out of state attendees.